SONI withanEYE is fierce, soulful, and totally one of a kind. 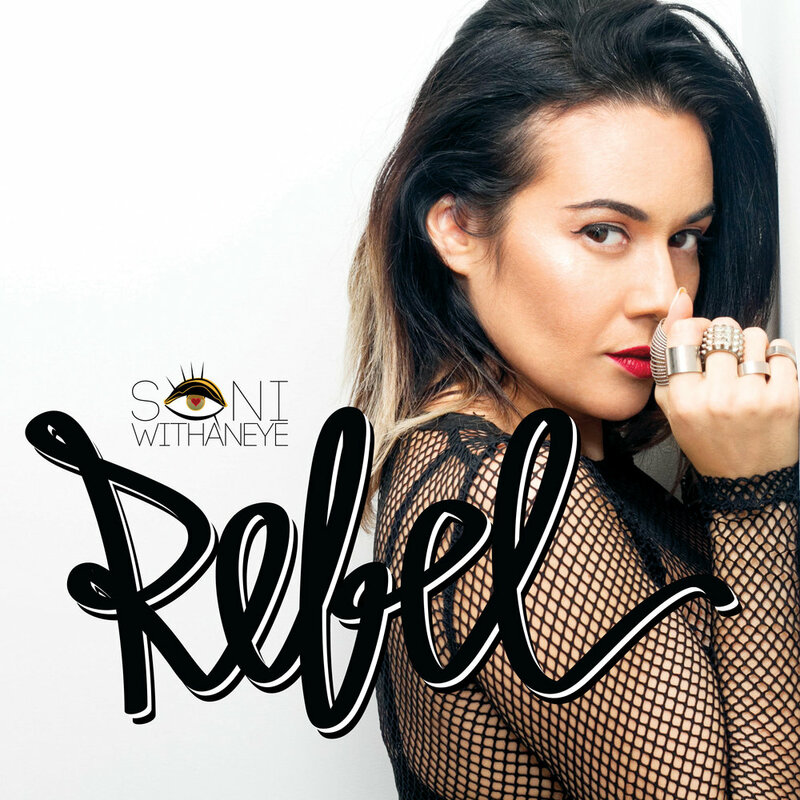 The Queens-born singer and DJ just released her wide-appealing debut album Rebel. "The Rebel album represents the Rebel in me and those around me," she told Musical Notes Global. "Fueled by diversity in sound and experience." Growing up in a musical family, SONI developed a love for her craft early in life, cutting her chops singing in her church choir and experimenting with instruments like the piano and the guitar. Since then, she has carved out her own special place in the industry and has DJ-ed around the world, holding multiple residencies in New York (including her current "Extra Saucee" party at Hotel Chantelle) while continuing to develop her own catalog of work. "Traveling and engaging with people around the world gives me opportunity to learn more about music," she said. "Music has a way of connecting people of different cultures and backgrounds. I wanted this album to do the same so I added different genres." Indeed, Rebel is a provocative combination of everything good, rich with culture, music history, and diversity. Through a little bit of hip hop, rock, funk, soul, jazz, and a delicious dose of Latin swag, along with honest and real lyrics, SONI communicates the pain, passion, and resilience that she says her Puerto Rican roots have helped her to express. A 13-track collection, Rebel contains fire collaborations with long-standing legends in hip hop and rap, including Wu Tang Clan's Raekwon and duo Mobb Deep. "Being from Queens and a hiphop fan, I’ve always wanted to do a record with Mobb Deep since they have always represented our borough," she said. "I recorded the vocals for 'Coming from Queens' and knew something was missing. Tony [Touch] and I were on the same page with this one. I had been bumping into the fellas on random nights out. I text Havoc and before u know it, his verse was sent over within days. Tony reached out to Prodigy and the song was complete. I can check off one of my bucket list goals. Feeling very blessed to have them on the album. Rest in Paradise Prodigy." The album also features a stunning modernized cover version of La Lupe's "Se Acabo," as well as the drumming contributions of The Roots' Questlove. "I had been introduced to Questlove numerous times. One evening while me and T were getting some popcorn at the movie theater we bumped into Quest and in our convo we sparked some dialogue on collaborating," SONI said. "Tony Touch followed up and sent him the "Silly Girl" song. He was all for it and well, he took it from there adding his signature flavor to the song." SONI withanEYE is one to keep an eye on! Check out her single "Get It Together" featuring Raekwon below.